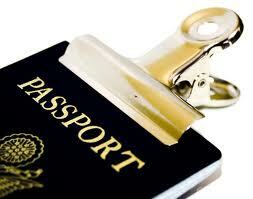 Visas are a pretty big aspect of any expat's life. And more often than not, they seem to leave people feeling stressed and bummed out. Last year, when I was up for renewal, I waded through a lot of information about renewing visas in Japan. I’ve collected and organized some of that info here. In layman terms, "visa" refers to the sticker in your passport that says you can be legally present in a foreign country. However, terminology used by Japanese authorities is different. 査証 (sashou) is the word most commonly translated from Japanese as "visa." Most people coming from a foreign country to Japan and intending to stay a long time will have a 査証 in their passport. It will have big block kanji at the top that read 日本国査証 and takes up a whole page in the passport. A 査証 is issued outside of Japan at an embassy or consulate. You will use it when you enter Japan, but it gives you no authority to legally stay in Japan. Think of a 査証 like a screening process. The Japanese consulate in your country checks your application and background and deems you fit for entry into Japan. They write a recommendation (the 査証) and put it in your passport. When you enter Japan, immigration officials see this recommendation and use it to determine your eligibility to stay in Japan. The immigration officials at the airport will grant you eligibility to stay in Japan by placing a 上陸許可 (jyouriku kyoka) stamp in your passport. Often this is translated into English as "Landing Permission." This stamp contains important information, like your 在留期間 (zairyuu kikan), "Period of Stay," and your 在留資格 (zairyuu shikaku), your "Status of Residence." The big point here is that once you are inside Japan, your Landing Permission matters, and your Japan Visa no longer matters at all. When you "renew your visa" in Japan, you are really performing a procedure called 在留期間変更 (zairyuu kikaku henkou), or "Extension of Period of Stay." When you "change your work visa" in Japan so you can work a different type of job, you are really performing a procedure called 在留資格変更 (zairyuu shikaku henkou), or "Change of Status of Residence." And what the immigration officials want to see is that 上陸許可 Landing Permission stamp, NOT the 日本国査証 Japan Visa! Knowing these differences and arming yourself with the correct terminology will go a long way in helping others understand your questions and requests.